As I mentioned in my previous post, I have been using olive oil and grapeseed oil for most of my cooking in the recent years, because they are healthier and boast of multiple health benefits. Many people have this misconception that olive oil and grapeseed oil can only be used for western cooking or drizzling on salad; however both oils are good for stir-frying and deep-frying as well! I usually alternate between the two types of oil for my cooking (as well as baking). I've been trying to cook more thai dishes, since I've access to more thai ingredients now. 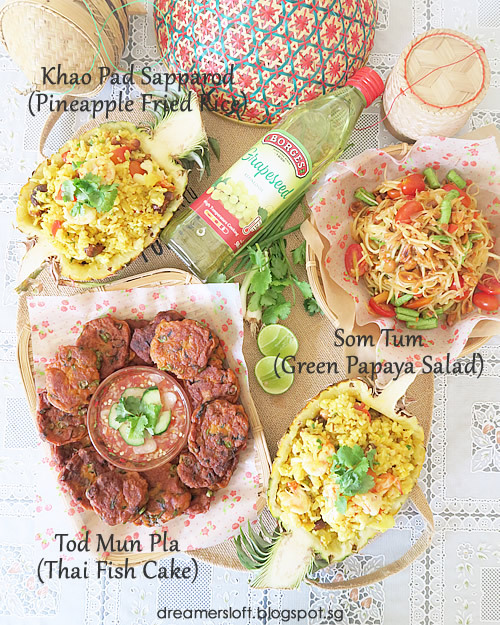 Today's dishes are Tod Mun Pla (Thai Fish Cake), Khao Pad Sapparod (Pineapple Fried Rice), Som Tum (Green Papaya Salad), all popular and quite easy to cook at home, and I'm using Borges Grapeseed oil to cook them (except for Som Tum which doesn't require oil). Cholesterol Free. Contains vitamin E and A. Ideal for Wok, sautéing, frying and fondues. Mild taste, light and nutty overstones that allows the flavours of other foods to shine through when used for frying and cooking. Contains acid linoleic essential fats. Low in saturated fats. No Trans Fat. 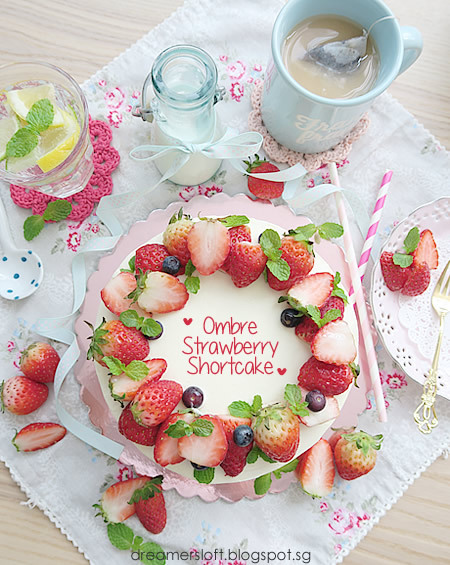 No added preservatives, flavourings or colorings. With a smoke point 210-245ºC, it is ideal for stir-frying, fondues and deep-frying. The Grapeseed oil is unique by its polyunsaturated fatty acid concentration and natural antioxidants that contribute to regulating the free cholesterol presence and radicals in the body. Grapeseed oil has a relatively high smoke point approximately 420ºF (260ºC), so it can be safely used for stir-fries, sautéing and fondue. In addition to this smoking point, Grapeseed oil has other positive attributes in relation to cooking. It has a clean, light taste that can be described as “nutty”. 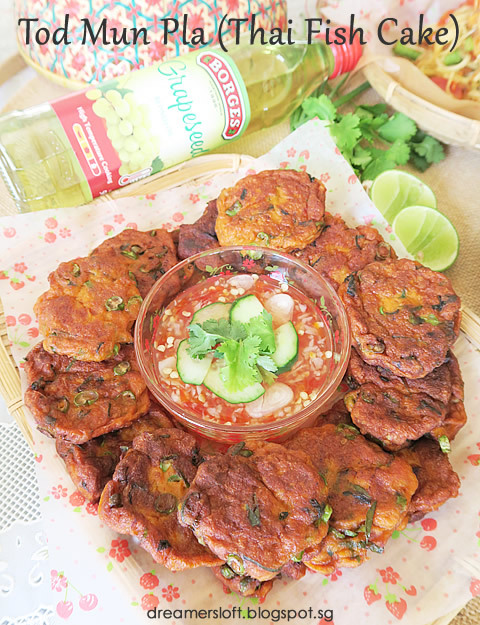 Tod Mun Pla or Thai Fish Cake is a popular snack or appetiser which is very easy to make at home. Simply blend fish meat, red curry paste, egg yolk and sugar into a paste, add long beans, kaffir lime leaf and thai/holy basil, shape into a patty and pan-fry. 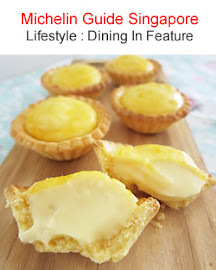 Taste really good with sweet chilli dipping sauce. I make my own sweet chilli dipping sauce as well, so that I can adjust the sweetness and spiciness level. Mine is less sweet with more vinegar (for a more tangy taste). 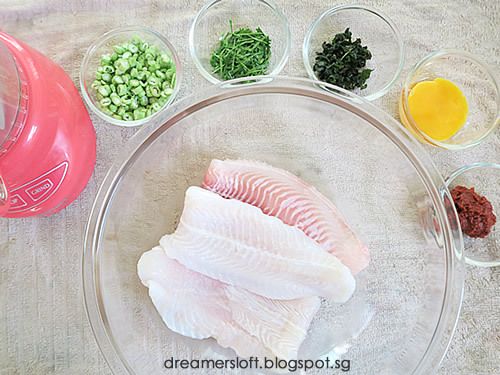 Cut fish meat into small pieces. 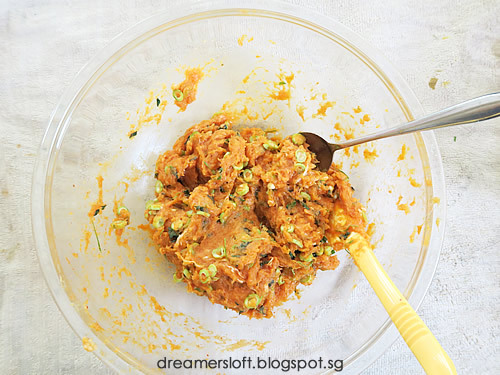 Add the fish meat, red curry paste, egg yolk and sugar into a food processor or chopper and blend till a paste forms. Taste-test: Wet both hands and a teaspoon, scoop a spoonful of paste and form into a patty. Heat a frying pan with 1 tbsp of oil and pan-fry the patty till golden brown on both sides. Taste to see if salty or flavourful enough. I use store-bought red curry which is quite salty and flavourful. If not, add 1 tbsp more of red curry paste and/or 1 tsp of fish sauce to the fish paste. Once fish paste is ready, add long beans, kaffir lime leaves and basil, use a spatula to fold the ingredients till well-mixed. Heat frying pan with 10 tbsp of oil (my pan is 26cm) on medium high heat. Wet both hands and a tablespoon, scoop a spoonful of paste and form into a patty using the hands. Pan-fry the shaped patties in the frying pan till golden brown on both sides. Best serve hot with sweet chilli dipping sauce. In an electric chopper or food processor, add garlic and both chilli and blend coarsely (bits are visible). Place blended garlic and chilli bits into a small pot, add sugar, vinegar, salt and water and bring to gentle boil over low heat. Taste and add more sugar or chilli if necessary. Stir till mixture turns syrupy and remove from heat. The mixture will thicken slightly more once cool down. To serve, top with sliced shallot, cucumber and coriander. 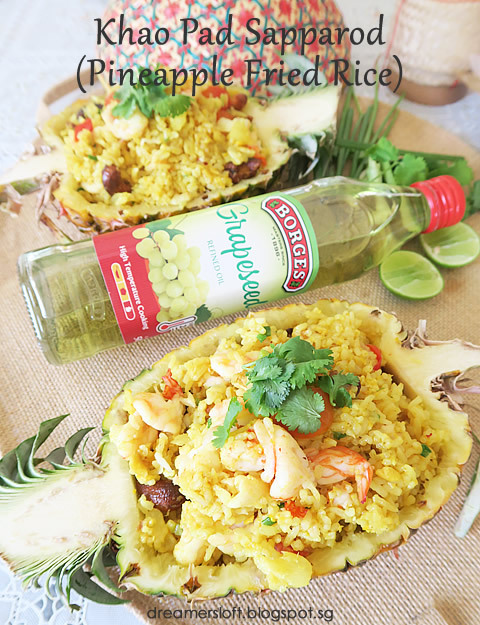 Pineapple fried rice is yet another favourite dish, as it has a tinge of sweetness from the pineapple (and raisins), aroma from curry powder, seafood freshness from the prawns and different textures from the rice and cashew nuts. Heat up a large deep frying pan or wok on medium high heat, add 2 tbsp of grapeseed oil and saute the sliced prawns till just cooked. Dish up and set aside. Add 1 tbsp of oil, add the eggs and scramble lightly. Once eggs are almost cooked, add the rice and toss to mix well with the eggs. Push the rice aside, add 1 tbsp of oil and saute the onion till slightly cooked (changes colour), then toss the onion with the rice. Add the seasonings and toss the rice to mix well. Taste and adjust seasonings accordingly. Mine is on lighter side. 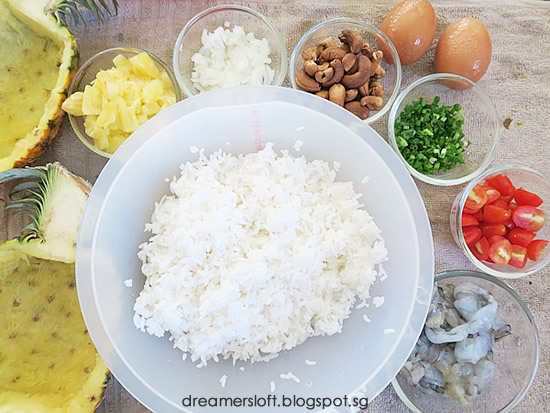 Add cooked prawns, cherry tomatoes, pineapple, cashews into the rice. Toss to mix well. Off heat and add spring onions and toss to mix well. Best serve hot (in pineapple bowl or plates). 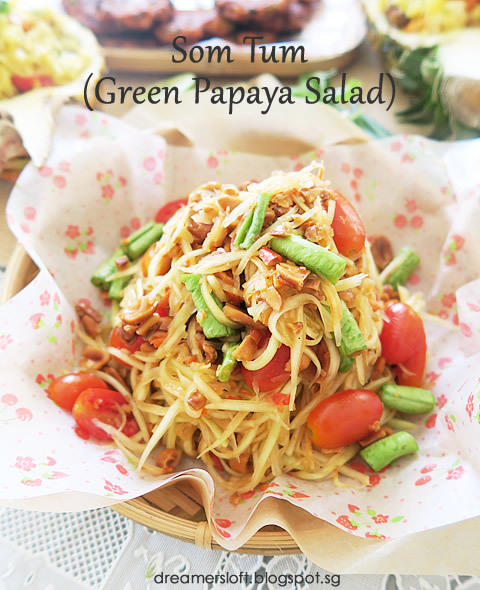 And finally Som Tum (Green Papaya Salad)! This is such a refreshing salad that our family eats it so very often as it's crunchy and appetising with different textures and taste. Many times the HB would tabao from the evening market on his way back from work. It's convenient to buy from street stalls as you can find it everywhere, but the thing is sometimes they are too spicy and sweet for my palate. 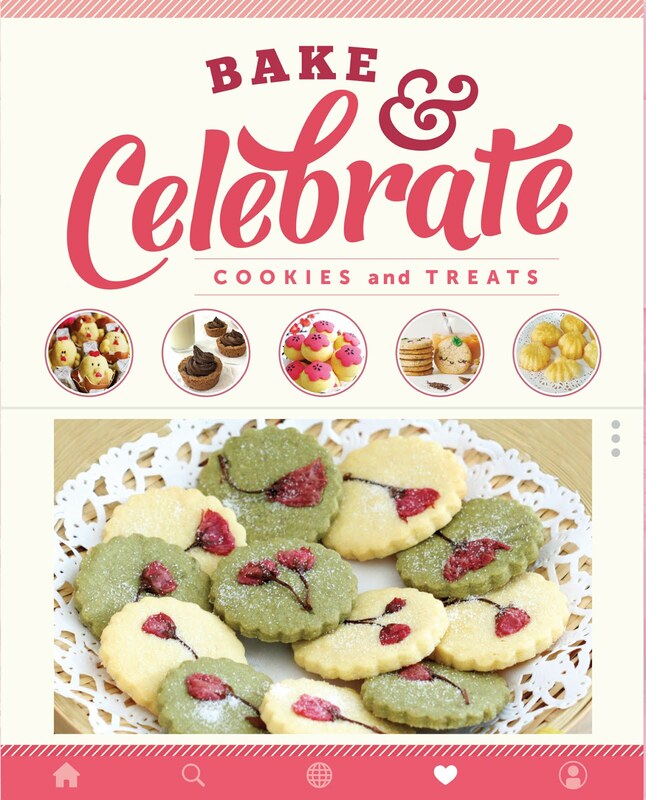 Of course the advantage of homemade is, you can adjust the taste to suit your own tastebud. The below recipe is on the lighter side, feel free to adjust the seasonings. As my mortar and pestle is small and I don't have a big proper som tum mortar, I make my som tum in my own steps by batches, which is not the authentic way of preparing it. Please google or check youtube videos on how it's done properly. Soak the julienned green papaya in iced water for 10 mins. After 10 mins, dry using salad spinner or kitchen towel. Add the green papaya into a large mixing bowl, use a pestle to lightly pound/crush the papaya strips. Add cherry tomatoes and long beans into the mixing bowl and lightly pound/crush them using the pestle. Add the tiny dried shrimps into the salad. Add the peanuts into the stone mortar, lightly crush the peanuts into halves or smaller pieces. Add the peanut pieces into the salad. In the same stone mortar, pound the garlic and chilli till a coarse paste. Add fish sauce, palm sugar, lime juice and tamarind juice. Lightly pound and stir till the palm sugar is melted. Pour the sauce from the mortar into the mixing bowl, toss everything together till well-mixed. Taste the salad and adjust taste to preference. The salad tastes best freshly prepared. LAST CALL for Borges Giveaway!